Brexit: aerospace manufacturing at risk? My brief mention of aviation products yesterday might have given a clue that I was looking at this issue in the context of Brexit. In fact, I've been looking at it, on and off, for some months and never really got a grip of the essentials. To say the system for certifying aviation products is complex is not an exaggeration. One needs to approach it with care. One of the difficulties with this subject is that the EU is a relatively late entrant to the business of aircraft airworthiness certification, the whole aircraft and the components and systems that go into making them. Historically, certification has been left to member states and some of the residual functions remain with them. The current certification agency at EU level is the European Aviation Safety Agency (EASA), which was established in 2002 by Regulation (EC) 1592/2002. This regulation also set up common rules in the field of civil aviation. With the Regulation (EC) No 736/2006 and then Commission Regulation (EU) no 748/2012, we have the core suite of regulations which enable the Agency to function, the latter being the regulations "laying down implementing rules for the airworthiness and environmental certification of aircraft and related products, parts and appliances, as well as for the certification of design and production organisations". According to the Commission website, these create a complex system whereby, in the EU, "certificates attesting that aeronautical products, organisations and personnel comply with the common rules are issued either by the competent national authorities of the Member States or by EASA". EASA, is says, "has been entrusted with the responsibility to issue certificates in lieu of Member States when it has been considered more efficient. For instance, EASA is entirely responsible for the certification of aircraft types and other aeronautical products. National authorities of the Member States continue to issue, under EASA monitoring, individual certificates to aircraft and most organisations and personnel located in their territory. However, EASA issues certificates for organisations located in third countries. From this and a study of the labyrinthine regulations, and in particular Annex1 of Regulation 748/2012 (known as Part 21), it seems that certification of aircraft and products is open to all comers, including applicants in third countries. Unlike other "prior approval" systems, there is no specific requirement for them to be established in the EU. On that basis, post-Brexit it would appear – on first sight - that UK enterprises might continue to obtain safety certification from EASA and, as importantly, existing certification will remain valid. However, nothing is ever that simple. It is not only the case that aircraft and the components that go into their making must be certified, but the companies which design and make them must (except under very specific exemptions) also be approved. Respectively, they are called design and/or production organisations and they must undergo an elaborate approval process, conforming with criteria set out in Part 21. Approval of these organisations is not undertaken by EASA, but by the "competent authorities" of countries in which they operate. And here, we begin to have problems. Competent authorities, in the case of EU members, are appointed by the Member States. Third country competent authorities have to be approved directly by EASA. Currently the UK competent authority is the Civil Aviation Authority (CAA) and it has approved design and production organisations within the UK. However, come Brexit, the UK will become a third country and, therefore, the CAA will no longer be a valid competent authority. It must apply to EASA for recognition. In the interim, there is then the question as to whether companies in the UK which have been approved to design or make aircraft or aviation products will retain their approvals. EU law on this is unhelpful – and unsurprisingly so, as there is no provision of countries in the EU ceasing to be Member States. Those looking for inspiration might refer to the relevant "Acceptable Means of Compliance and Guidance Material" where it is made abundantly clear that approvals are issued by the "competent authority of a Member State of the European Union" or EASA. On that basis, it is arguable that products designed and/or produced by UK companies after Brexit no longer hold valid approvals, until such time as the status of the "competent authority" has been regularised. Such matters, clearly, are precisely those which need to be addressed during the Article 50 negotiations and one might need (and therefore request) a statement from the Commission and EASA to the effect that the CAA remains a relevant competent authority and that approvals issued by it remain valid. Without that, a vital industry could be at risk. In aviation matters, though, there are alternative mechanisms available. Undoubtedly because of the international nature of the aviation sector, and historical relationships, there are is genuine provision for mutual recognition of certifications, many of which predated the formation of the EEC and have been carried over. Mutual recognition, however, is not by any means automatic. It is implemented via a series of bilateral agreements, an example of which is the 136-page US-EU Agreement on Aviation Safety signed in 2008. For the UK to trade with the EU, it could – once it has re-established the full technical capabilities – certify its own aircraft and parts and seek a similar treaty agreement with the EU. However, since the UK no longer has the technical capability for safety certification in this field – having transferred the function to EASA – we must rebuild our own organisation and re-acquire the skills, before we could enter into agreements with other parties. This could not be a rapid process. But here, there is a double bind. We currently rely on access to the market of the United States, Canada and Brazil via bilateral agreements between those countries and the EU. These would no longer apply to the UK once we leave the EU and we will have to negotiate our own agreements. In the meantime, we would have to rely on third country access to EASA and comply fully with EU regulation and certification requirements, including allowing EASA officials to inspect and monitor our design and production facilities. At the very least, this hardly conforms with the idea of taking back control but, until the status of the design and production organisation approval system has been sorted, this could be the least of our problems. Without approvals, UK companies disappear from the official list and will no longer be able to export goods, putting at risk a £28 billion market. 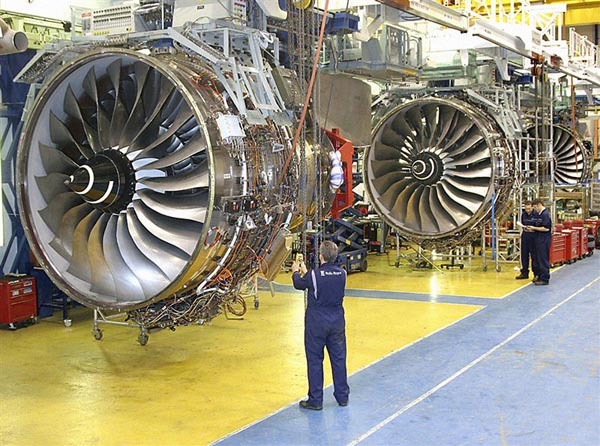 This would include the production of Airbus wings (by GKN Aerospace) and Rolls Royce aero engines. A host of other familiar names would be affected, such as BAE Systems and British Airways - which has a manufacturing enterprise producing interiors for airliners, and an operation producing aircraft components. Even Dunlop tyres could no longer find their way onto the airliners of the world. Bizarrely, Rolls Royce has been in the news recently on Brexit, but only expressing its worries about border checks and "supply chain kinks". So far, the industry has only been complaining of customs controls, giving rise to "an increase in costs from extra red tape, as companies will have to track components and their origin at a level of detail not previously seen". While it has taken the car industry over a year to work out the threat posed by the loss of type approval from UK products, it seems the aviation industry is way behind the curve when it comes to the status of their approvals. Throughout industry (and business), there seem to be as feeling that catastrophic events must not be allowed to happen, on which sole basis it is believed that they won't happen. But, like the banks that were "too big to fail", nemesis can even strike down the almighty. Complacency is not a clever response to Brexit.